The brother of Australian cricket star Usman Khawaja has been granted bail amid accusations he framed a colleague with a fake terror hit list targeting senior politicians. The bogus hit list - which included former prime minister Malcolm Turnbull and the Sydney Opera House - was found in a notebook at University of New South Wales on 30 August. It did not appear from the charges that the list was linked to any credible assassination plots. 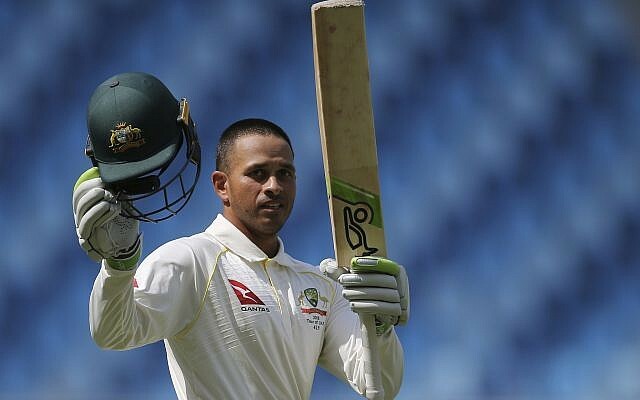 Australia batsman Usman Khawaja has asked for privacy after his older brother was arrested in New South Wales on Tuesday. "We regret the circumstances which led to him being charged and the time he subsequently spent in custody". On Tuesday, police alleged Mr Nizamdeen had been "set up in a planned and calculated manner" by Mr Khawaja. "He will be spoken to in relation to the alleged attempt to pervert justice, and forgery - making a false document", NSW Police said in a statement. Willing added that police believe Khawaja orchestrated the set up and may have been motivated by a dispute over a woman. The documents allegedly contained plans to facilitate terrorism attacks. Nizamdeen was later on released after a week's investigation by the police, in which it was found that the writing in the notebook did not matches his own. Willing confirmed there is no ongoing threat to the community. He says they've always been determined to get to the bottom of the matter and "today's arrest is the culmination of that". "This is a matter for the police to deal with", he told reporters.